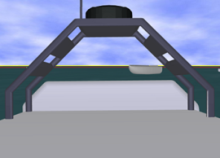 A major issue in the development of increased autonomy for robotic vehicles such as unmanned surface vehicles (USVs) is the time and expense of developing the software necessary to handle a large variety of missions and all the variations in the encountered environments. We have developed a new approach for developing planning software that operates autonomous USVs. This new approach takes advantage of the significant progress that has been made in virtual environments and machine learning. Our basic idea is based on having the autonomous USV develop the required planning decision rules and software itself by placing the autonomous USV in a virtual environment and then having it accomplish its mission objective in this environment through trial and error. 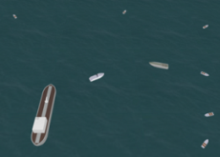 We have developed a mission planning system for automatically generating a reactive planning logic for USVs. We used our evolutionary framework for automatic generation of planning logic for blocking the advancement of an intruder boat toward a given target. We employed a simulated competitive coevolutionary process to improve the general capability of this blocking logic by pitting the autonomous USV against a set of different, simultaneously evolved enemies. Development of 3D imaging system for on-line monitoring of the assembly process. This will ensure that the system is aware of the positions and orientations of all the components in the workspace, thereby decreasing assembly errors. This capability is a prerequisite for autonomous operation. Microsphere images generated using optical section microscopy. Particle trajectory as it moves towards optical trap center. Development of a physically accurate simulator. Such a simulation framework is essential to test any planning and control algorithm, estimate various physical parameters such as trapping potential, and perform statistical validation of the effectiveness of the proposed automated assembly operations. Development of planning algorithms for automated operations. The system must be able to perform assembly operations in automated manner. The human operator will have high-level control and manual override capabilities. Under normal operating conditions, the system will automatically generate the traps and transport components. Automated transport of 2 µm silica sphere in holographic tweezer set-up.